I saw this necklace a few weeks ago at Plato's Closet and was drawn to the teal mixed with lime green. I was also drawn to the $3 price tag. It was so bright and I knew it would make such a statement in any outfit. 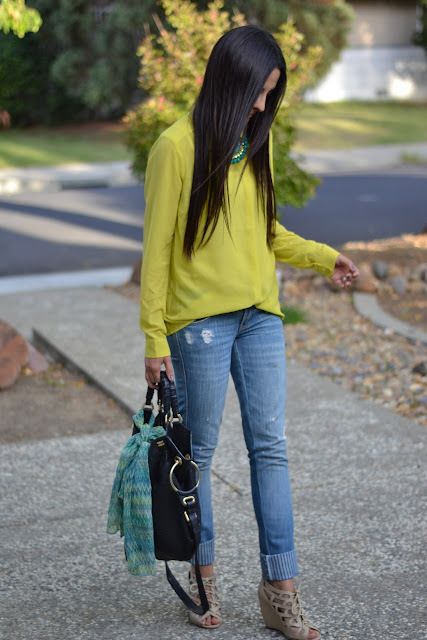 Lime has always been one of my favorite colors so it wasn't hard planning this outfit. 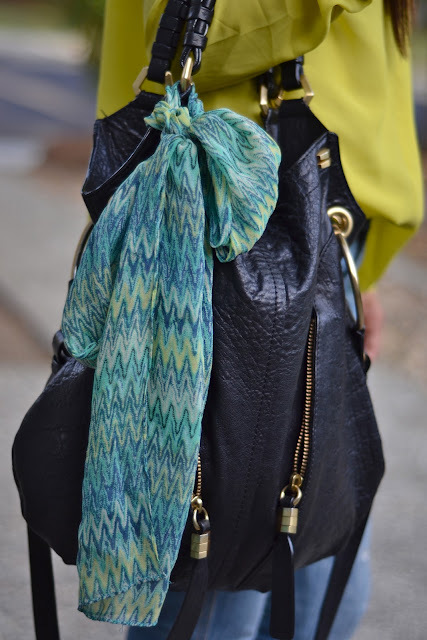 I couldn't resist adding this zig-zag scarf to my bag- it really tied the whole outfit together! 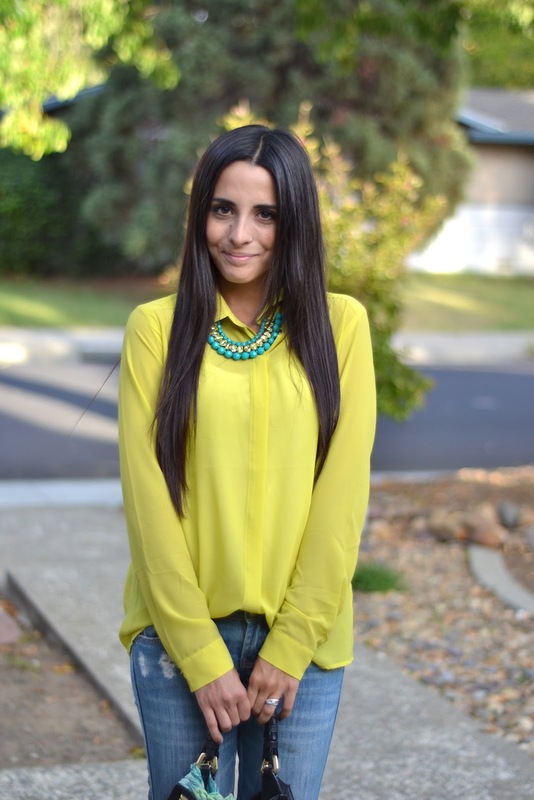 Also, the winner of my Sweet Fashion Deals giveaway is #6, Jenelle from Sweet Pea. Gorgoues! That color looks amazing on you.